Respirators are important to any life form, they varies from one organism to another organism, like Humans and animals that live on land can survive only on land as their genetics are mutated adapting living on land, that is they survive on land by respiring oxygen through nose, in the same way the animals do! when comes to living organisms in the water, they developed Gills which are respirators for the water creatures! Amphibians can survive both on land and water as they are adapted to both land and water, but humans are not well adapted for water, he can swim, and dive under water only for few min-hours with the help of oxygen cylinders! 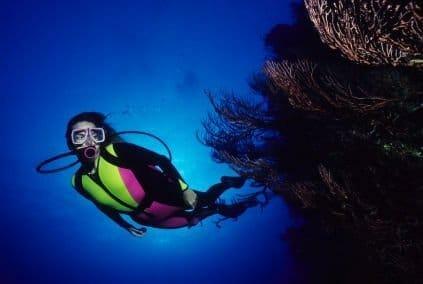 A typical scuba diver carries oxygen cylinder and all breathe apparatus to survive under water, but how actually fishes and other living organisms are surviving? Due to GIlls, but what’s so special in Gills is they extract oxygen from water, as we know water is a combined molecule of both hydrogen and oxygen atoms! so these gills are responsible to extract oxygen from the water and helps for respiration. Basing on this concept, korean scientists developed a new technology called TRITON -The Artificial Gills, basically concept is simple, as the fish gets oxygen from water by using gills, here humans can get oxygen from water by using this Triton- artificial gills, Just bite the Triton and dive under water with out using any oxygen cylinders! 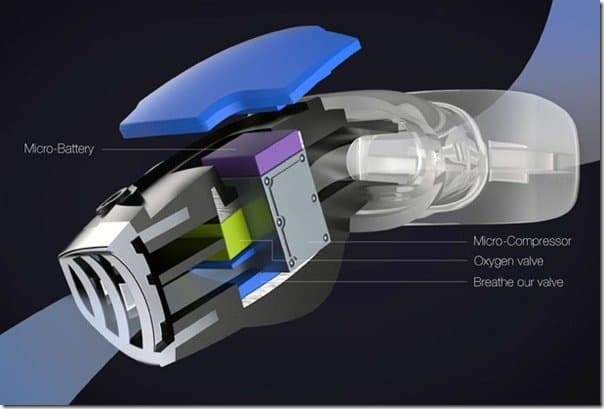 as long as you bite the Triton, you can take respiration (oxygen balance will be there in your lungs) , when compared to traditional scuba devices, you don’t need to breathe in and out, just bite it! Basically Triton uses a micro compressor which compress the water and extracts the oxygen and stores in a small tank, it runs on micro batteries which is the next generation technology which can charge 1000 times faster than the current batteries! we all watched Harry Potter & the Goblet of Fire, there is a scene under water, where every participant goes under water with out any oxygen cylinders, you can see some gills developed on Daniel Radcliffe, and others uses a bag like structure for their mouth, well that’s just a movie, but practically with the help of these artificial gills one can dive under water with out oxygen cylinders! I guess this concept will be developed and come to production very soon! Previous articleGoogle Site Reliability Engineering team heads to Reddit for a Q&A session.